Roundabout Quilters: Coming Soon! Ineke Berlyn. Ineke is going to be giving a talk called The A to Z of Quilt Creativity on Tuesday April 8th 2014 at 7.30pm. Doors open at 7pm and the charge for those who are not members of the group is £5. Everybody is welcome. Please note: we are also holding a workshop with Ineke the following day but this is now full and there is a waiting list. 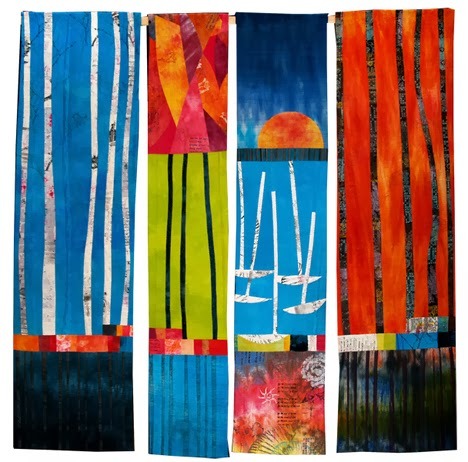 Ineke's 4 part wall hanging inspired by the four seasons.